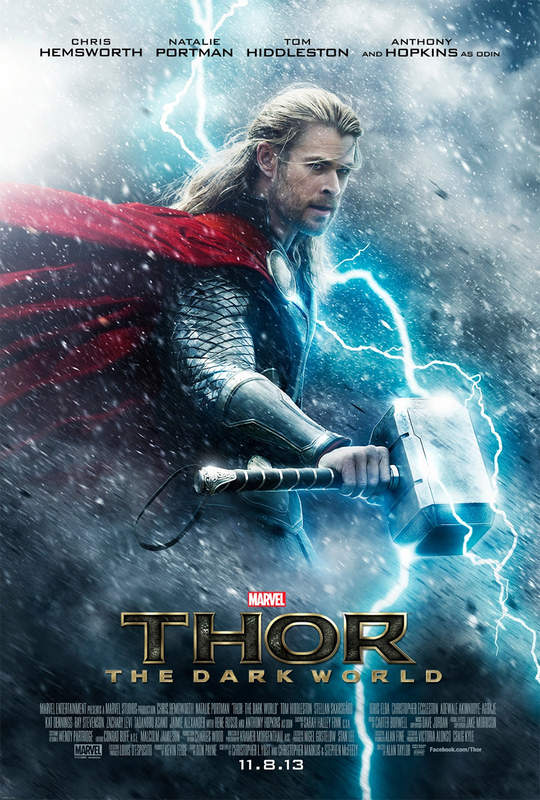 Marvel has released a new movie poster for Thor: The Dark World showing Chris Hemsworth in all his Thor glory. In this new film, set after the events of Thor and The Avengers, Thor battles an ancient race of Dark Elves led by the vengeful Malekith who threatens to plunge the universe back into darkness. Thor looks prepared to jump into battle to protect the Earth and the Nine Realms with the help of his legendary hammer, Mjölnir.